Little girls like camo too! And this pretty Lavender Camo Baby Bedding will add that feminine touch to your new baby's rustic nursery. Made of cotton/poly blend percale in the USA. Little girls like camo too! 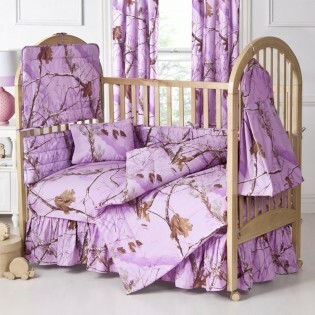 And this pretty Lavender Camo Baby Bedding will add that feminine touch to your new baby's rustic nursery.